The Dwinguler Kids Sofa stands out with its slick modern design! The outside of the Dwinguler Kids Sofa is made out of SOFFKIN synthetic leather and the inside out of Eco Bio Foam (made out of natural vegetable oil). The Kids Sofa is very easy to clean - just wipe with water. You can choose from 5 different colour combinations - bright and lively (Cherry Pink and Marine Blue) or subtle (Dove Gray, Sand Beige or Wood Brown) to match your environment and preferences. 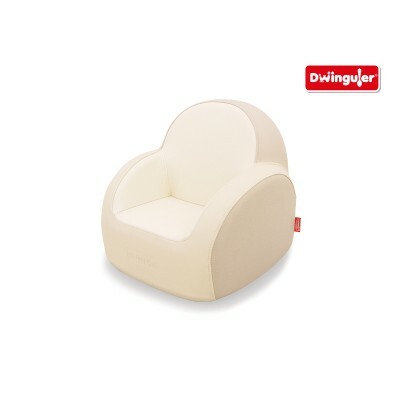 As all other Dwinguler products the Kids Sofa has been tested and certified to assure 100% lack of harmful substances and match the European and US toy safety standards. Dimensions: 475 x 485 x 450mm (Width x Length x Height).